Viola New Taylor, age 91, of Somerset, passed from this life on Wednesday, April 18, 2018 at the Stanford Care Center in Stanford, Kentucky after an extended illness. She was born on August 14, 1926, in the Delta Community of Wayne County, Kentucky. She was the daughter of the late Oather New and Eva Lena Dalton New. 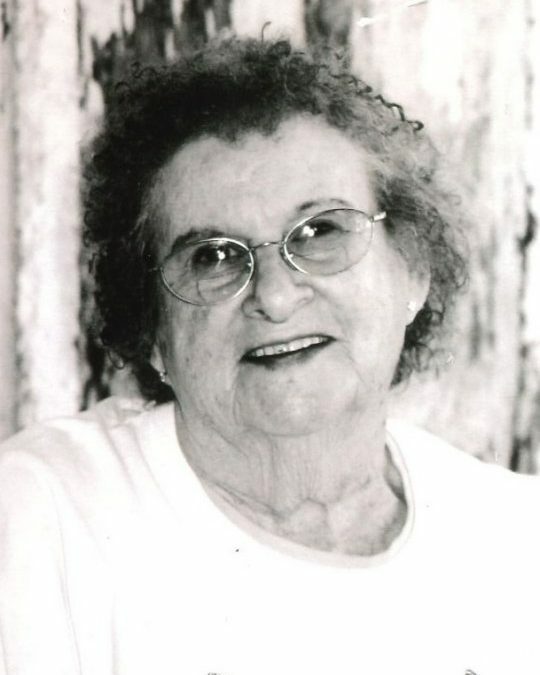 Viola was a loving wife, mother and homemaker. She was of the Baptist Faith and a member of the Meadow Creek Baptist Church. Besides her parents she is preceded in death by her husband; Rufus Taylor, and sisters; Lonnie Taylor, Mattie Adams, Euetta Mink and Mary Breen. She leaves behind to cherish her memory her loving daughter; Patricia Ann (Gary) Simpson of Somerset, and a brother; Carlos (Joann) New of Somerset, sister; Classie (Jim) Whitis of Somerset, three grandchildren; Kalisa (Roger) Chaney, Gary (April) Simpson and Rufus S. Grimsley, great-grandchildren; Brittany Chaney, Austin Whitaker, Denton Simpson, Raleigh and Becky Grimsley and like a granddaughter, Donna Grimsley. Viola will be missed by all who knew and loved her. Visitation will be from 11:00 a.m. until 1:00 p.m on Saturday April 21, 2018 in the Chapel of Southern Oaks Funeral Home. The Funeral Service will be at 1:00 p.m. in the Funeral Home Chapel with Bro. Ron Meece officiating. Interment will be in the Lakeside Memorial Gardens Cemetery in Somerset. My deepest sympathy for your loss of Viola.Jesus Christ said,I am the resurrection and the life.He that exercise faith in me even though he dies will come back to life in the resurrection.John11:25.